Test out Apple’s latest gadget using ComputerRentals.ca’s iPad rental service. iPad ever since its launch has been a rage amongst the technology enthusiasts and others alike. The trademark Apple design provides immense functionality for business travelers. You can leave behind your laptop or notebook and rely solely on iPad to stay connected with your office and clients. 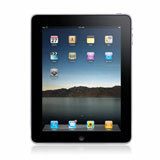 We offer all iPad models on rent at reasonable prices. Basic software comes preloaded on the iPads and you can start using them immediately. We ship iPads to all major destinations in Canada. Whether you need one or a hundred iPads, we have the right rental solutions for you. You can rent iPads for any duration – months, weeks or days. We offer both short term and long term iPad rentals – rent by the day, week or month. The rental plan can be customized to suit your specific needs. Our rental plans are affordable and designed to provide you the best service. We offer one of the lowest iPad rental rates in the industry. Our customer support is always happy to help you with your questions and requests. Avail assistance from our technical staff on how to optimally use your rented iPad. If you are unsure that iPad is worth the investment, you can try it out on rent. Unlike other iPad trials, you can use rent iPads from us for any duration to use it at leisure before deciding to take the plunge. This option is especially useful for companies who plan bulk buy iPads for their employees. If you are planning to project a high tech image at your next business or marketing event, then equipment rental packages from ComputerRentals.ca can be a cost effective way to meet your objective. You can rent iPads along with various other equipment under a single rental agreement. Laptops, LCD monitors, displays, projectors and other IT and audio visual equipment can be included in the custom equipment rental package for your event. Such equipment packages are budget friendly and offer the advantage of having to manage only a single rental plan. Why wait to experience this next generation gadget? Get in touch with us today for an affordable iPad rental plan.